We’d love your help. Let us know what’s wrong with this preview of Owl and the Electric Samurai by Kristi Charish. The International Archaeol The third exciting novel starring the unforgettable antiquities thief Owl—a modern-day “Indiana Jane” who reluctantly navigates the hidden supernatural world. From the pen of rising urban fantasy star Kristi Charish (Owl and the Japanese Circus) and for fans of Kim Harrison, Jim Butcher, Jennifer Estep, Jenn Bennett, and fantasy lovers everywhere. To ask other readers questions about Owl and the Electric Samurai, please sign up. Tina Bartz There is only one scene with the dragon. Carrie Mansfield You can, but you probably shouldn't. Starting with book two, the plot is heavily influenced from events from book one and that trend only continues…moreYou can, but you probably shouldn't. Starting with book two, the plot is heavily influenced from events from book one and that trend only continues here. It isn't really episodic writing and so the reminders don't go as deep as they would if it was meant to be enjoyed that way. This is very much a continuation of an ongoing arc and is best enjoyed when read that way. A buddy read with the MacHalo Freaks, because we like Owl! The Elves have worked​out a deal with her employers and she has been hired out to find an ancient armor, which makes the person wearing it bloodthirsty and evil, taking control of their personality and actions for its own i-want-to-rule-the-world means... She is not happy about it, her boyfriend is even more displeased, since he obviously has had some bad experiences and does not trust the Elves. But the Dragon gave them no choice, so once again they end up in perilous situations risking life and limb to get the job done. The book is light and very easy to read, with the usual cocky banter and crazy actions by Alex and the gang... For those who like UF and advanture this is a good series! The Adventures of Owl is a favorite urban fantasy series of mine. I quite enjoy reading about Alix "Owl" Hiboux adventures. In this, the third book is she both trying to find the creators of World Quest, the online RPG she loves and at the same time is she "hired" (let's say the dragon she works for is quite adamant that she should locate it) to find the Electric Samurai, a mystical armor that binds itself to whoever wears it. The problem is that it has been centuries since the last wearer died, The Adventures of Owl is a favorite urban fantasy series of mine. I quite enjoy reading about Alix "Owl" Hiboux adventures. In this, the third book is she both trying to find the creators of World Quest, the online RPG she loves and at the same time is she "hired" (let's say the dragon she works for is quite adamant that she should locate it) to find the Electric Samurai, a mystical armor that binds itself to whoever wears it. The problem is that it has been centuries since the last wearer died, and no one knows where he is buried. But, Owl is quite famous when it comes to finding things, so together with her boyfriend Rynn and her RPG partner and once friend Carpe, and her beloved cat Captain will she try to find this armor. I think that this is probably so far the best book in the series, the hunt for the Electric Samurai armor was thrilling and as a BIG Indiana Jones fan do I love books that combine archaeology with a lot of action. And, adding the famous legendary lost city of Shangri-La to the mix was a brilliant move by Charish. Could it really be that the creators of World Quest are hiding there? And, if they are, how to get there? Also, I really like Carpe, but he has to stop being such an idiot. It's hard to write this review without giving too much away, so I will just end the review by saying that I think Kristi Charish has surpassed herself with this book, the last part is fabulous with a fantastic cliffhanger that makes me eager to get my hands on the next book! The third book in The Adventures of Owl is, in a word, the most significant entry in the series to date. So much of what's been hinted and teased comes to the forefront here with a story that offers up equal measures of character building, world building, and plot development. Kristi Charish has really upped the ante here, and it pays off. The first thing you'll notice about Owl and the Electric Samurai is that it is neither as frantic nor as fun as its predecessors. This is a slower, more delibe The third book in The Adventures of Owl is, in a word, the most significant entry in the series to date. So much of what's been hinted and teased comes to the forefront here with a story that offers up equal measures of character building, world building, and plot development. Kristi Charish has really upped the ante here, and it pays off. The first thing you'll notice about Owl and the Electric Samurai is that it is neither as frantic nor as fun as its predecessors. This is a slower, more deliberate tale, and one that carries a heavy weight in terms of its stakes for all involved. For that reason, it's also neither as friendly nor as romantic. Sure, the usual cast of supporting characters is there, namely Rynn and Carpe, but there is an emotional distance between them all that is borne out of fear, paranoia, and desperation. Not only does Owl have lingering tensions with Lady Siyu to deal with, but International Archaeology Association (IAA) is playing hardball, the elves have put her in an impossible position, and the cursed (possibly sentient) armor know as the Electric Samurai has placed its own claim on our heroine. Placed in an impossible situation, it seems as if any action she takes to deal with one issue only increases the pressure of the others. In terms of world-building, Owl and the Electric Samurai has a lot to offer. We get insights into Rynn's past, as well as his history with the elves; we learn more about supernatural politics than you'd ever imagine possible; and we get some significant revelations about World Quest and its creators. Readers who have been waiting for answers will find many of them here but, of course, they will also find new - and often bigger - questions as a result. The real-life archaeological set-pieces are a bit simpler this time around, but they are balanced with the fantastical details of Shangri-La. Heavy the story may be, full of plots and threats around every corner, but Charish never loses her ability to astound. The climax here is everything fans could hope for, but it comes at a steep price. There are hard choices and real threats in the final chapters, all leading up to a major development for one character, and an even bigger cliff-hanger. Owl and the Electric Samurai may promise a lot, juggling all its myriad conflicts, but it also delivers. This volume feels like a real game-changer, and I suspect the upcoming Owl and the Tiger Thieves will take things even further. Owl is in the hot seat again. The IAA (International Archaeology Association) wants the designers of World Quest (an online video game) and mercenaries have been hired to find them and remove any obstacle in their way…Owl’s in the way. While the elves have made a deal with the dragon and want Owl to find an ancient suit of armor. And if that wasn’t enough, Owl is tap dancing her way around the dragon’s person assistant and Naga that has taken Owl’s cat hostage. Charish brings the quirky Owl back Owl is in the hot seat again. The IAA (International Archaeology Association) wants the designers of World Quest (an online video game) and mercenaries have been hired to find them and remove any obstacle in their way…Owl’s in the way. While the elves have made a deal with the dragon and want Owl to find an ancient suit of armor. And if that wasn’t enough, Owl is tap dancing her way around the dragon’s person assistant and Naga that has taken Owl’s cat hostage. Charish brings the quirky Owl back into our lives with OWL AND THE ELECTRIC SAMURAI. I found this installment a little more serious then previous novels. Don't get me wrong, Owl still has the that spunky attitude we've come to expect but the overall tone is much more subdued. It seems that Owl is finally taking what is at stake more seriously. Some character growth but I feel its time for more. Enjoyable, easy, entertaining and chuck full of adventure. I received this ARC copy of Owl and the Electric Samurai from Gallery, Threshold, Pocket Books - Pocket Star. This book is set for publication May 8, 2017. 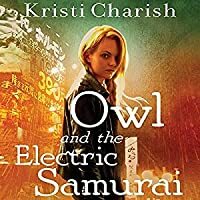 Owl and the Electric Samurai is the third installment in author Kristi Charish's The Adventures of Owl series. The series features Alix Hiboux, aka The Owl, who is an antiquities thief specializing in the supernatural. As we once again jump into the incredible action packed world that Kristi Charish has created, we find Alix having a bit of a dilemma. You see, the IAA (International Archaeology Association) believes that they have Owl between a rock and a hard place. They have even given her an ultimatum. Do what we say, and we will clear your record. A step up from its predecessors, OWL AND THE ELECTRIC SAMURAI is a welcome departure from the all-action, little-plot formula readers are familiar with from the first two novels. Delving deeper into supernatural politics, and significantly raising the stakes, OWL AND THE ELECTRIC SAMURAI shows an maturation of both Charish's writing, and the main character, Owl. To be perfectly honest, though I enjoyed the first two books in The Adventures of Owl serie Review courtesy of All Things Urban Fantasy. To be perfectly honest, though I enjoyed the first two books in The Adventures of Owl series, OWL AND THE ELECTRIC SAMURAI easily jumped into the favorite slot. I also think that it would be easy to pick up the series with this installment, as there isn't that much that the reader needs to know to understand what is going on, and most of it is covered by way of explanations from Owl or other characters. 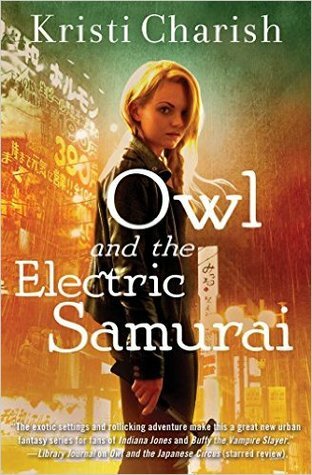 Unlike the first two books of the series, OWL AND THE ELECTRIC SAMURAI doesn't rely on constant action to keep the reader's attention, which meant that going in, my interest lagged a bit in the beginning (though the book does start with a nice chase scene). I wasn't expecting the level of political machinations Owl found herself involved in and the slow burn to the end plot twist, but once I got caught up on the details, I was sucked in. And boy, that ending! The final quarter of the book was definitely unputdownable with not only action but more subtle twists and turns happening. One complaint I had previously was that Owl felt like a pretty immature character. One of the reasons I liked this book more than the previous two in the series was that I felt Owl showed significant growth - she acted more like a super intelligent archeologist would, rather than a ridiculously inexperienced treasure hunter. Again, her smarts are something I like about this series, and I enjoyed how she really got to put them to use! And without any spoilers, another complaint I'd had was the ability of Owl and company to get out of any situation nearly unscathed - which is not the case in this book, and I loved it. It had a much more gritty, realistic feel (with magic, obviously!) than previously. All in all, after the ending of OWL AND THE ELECTRIC SAMURAI threw me for a complete loop, I am desperate to know where Charish is going to take Owl and the rest of the characters in The Adventures of Owl series. I am very much looking forward to the next book in the series, OWL AND THE TIGER THIEVES. With danger, the odd supernatural, magic, and spells truly lurking in every Who ever described Owl as a young female Indian Jones was so spot on, so much so that the person deserves a prize. There isn't a better phrase or a better character that comes to mind when I think of this series as a whole. It is just so much stinking fun. And like our beloved hero Indian Jones, you just know that with each new installment an exciting new adventure and outrageous predicaments are just around the corner. Owl dubs the suit of armor the Electric Samurai, and I loved all the tidbits we uncover about it during Owls quest. Her cases cross when her search for the missing designers has her hunting for the legendary lost city of Shangri-La. Intense and action-packed, with a few twists, including an unlikely ally, kept me flipping the pages. Owl once again has to handle betrayals, deals and outsmarting supernatural entities and beings. While Owl still makes rash decisions and leaps head first we do see l Owl dubs the suit of armor the Electric Samurai, and I loved all the tidbits we uncover about it during Owls quest. Her cases cross when her search for the missing designers has her hunting for the legendary lost city of Shangri-La. Intense and action-packed, with a few twists, including an unlikely ally, kept me flipping the pages. Owl once again has to handle betrayals, deals and outsmarting supernatural entities and beings. While Owl still makes rash decisions and leaps head first we do see listen and accept help from others. Owl is a modern day Indian Jones who finds herself collecting antiquities for Mr. Kurosawa, a red dragon who owns and runs the Japanese Circus Casino in Las Vegas. In this third installment, Owl finds herself contracted out to the Elves to retrieve a supernatural suit of armor. The IAA wants her to locate the missing designers of World Quest, and the IAA has merchantries on her tail. Such is the life of Owl. Thankfully she has Rynn, her succubus boyfriend, Captain her supernatural sniffing cat and others like Nadya. Let us not forget a certain World Quest elf named Carpe, who almost got them all killed in the last book. I absolutely love the characters in this series from a bitter and fanged snake to Captain the cat who kills me with his antics. The romantic thread is kept to a minimum which isn't surprising considering all of the trouble Owl finds herself in. It was fun to see them work side by side, or should I say, watch Rynn try to keep Owl out of trouble. While each book features a new adventure or quest, there is an overall story arc, character growth and more that make it essential to read or listen to these books in order. Nadya wasn't present as she is off in Tokyo dealing with power plays. This was an interesting thread that teases us unmercifully, and I am anxious to know more. Maybe we will learn more in the next book, OWL, AND THE TIGER THIEVES. Thankfully we won't have to wait long as it releases on September 25th of this year. Charish left us with a cliffhanger that has me counting down the days! I've loved Owl, her kind of skewed world views, and yet underneath you know she cares deeply for her friends, that she's moral, will always do the right thing, for people anyway even if artifacts are a bit of a grey area....but in this book she came over as a bit self centred, kind of blowing off issues that her best friend Nadya was dealing with, acting pretty cold towards Rynn at times. I love Rynn, but in this book they felt more like two people working together who didn't really like or respect each other, and though its clear Rynn cares deeply for Owl, would do almost anything to keep her safe she really wasn't looking out for what was going on in his life, seeing his POV, seeing what he was worried about, didn't really take Nadya's issues seriously, only as far as they affected her. This book seemed to be Only Worry About What Concerns Owl...and I didn't like that, that wasn't the person I knew from book one. Then too there's the whole Electric Samurai...its not Owl V the ES, its Owl searches for the ES. The Electric Samurai itself doesn't really come into play til the end. I wanted more in depth detail, to know exactly how they did things, how they escaped, not toss in a few whiz bangs and they're out, but that's how each drama began to feel to me. Just more of the same, another place where everyone wants a piece of Owl and she escape barely to fall into the next drama. I'd have liked a bit more day to day details, more conversations that didn't just involve "how are we getting out of this mess" type of thing. Less skin of teeth and bombs, less Carpe doing some amazing tech stuff, characters suddenly dropping in unexpectedly and a little more reality. Back to one of my bugbears, the This just couldn't happen problem. There's an IT Acronym IFTTT (If this then that) where if one thing happens its the trigger for another action, and when I'm reading I want to believe that if this one thing/action/event is real it could trigger a defined reaction, but too often in this story I didn't feel the first issue could be real, it lacked that believability factor, which meant that the action that followed felt wrong to me. There were parts I enjoyed, and the whole story is so unique that it was really refreshing to read when the series started, but now its seems to have moved away from that and I just need a little less action a little more conversation....A bit more reality even though its fantasy. I don't need loads, just a little to ground her, make things feel real. She just flips from one country at the end of a chapter and on first page of next chapter she's where she needs to be, and I'm thinking "but how??" Especially given Captain is with her. Travelling with a huge cat isn't easy...and where does she keep getting cat carriers? Then the ending...no.........How could Kristi leave us like that? I'd almost decided this was it for me, wondering whether I really wanted to continue with the series but I can't stop at this point, I'll have to see how it plays out and hope a return to the styles of books one and two are forthcoming. Hmmm, not sure what to say. First off, this is the third book in the series, there is absolutely no recap for those of us joining at this point. I have no idea why Alix is called Owl, NOT A CLUE. Alix is a human, former archaeology student and antiquities hunter (some say thief). She works for a Dragon Mr Kurosawa and his Naga assistant Lady Siyu. She also participates in an online game called World Quest which appears to have some magical link to reality. Although Alix comes across as one of the Hmmm, not sure what to say. First off, this is the third book in the series, there is absolutely no recap for those of us joining at this point. I have no idea why Alix is called Owl, NOT A CLUE. Alix is a human, former archaeology student and antiquities hunter (some say thief). She works for a Dragon Mr Kurosawa and his Naga assistant Lady Siyu. She also participates in an online game called World Quest which appears to have some magical link to reality. Although Alix comes across as one of the good guys she appears to be almost universally loathed by most characters who believe her to be untrustworthy and a chaos magnet - maybe that was explained in the previous books. Alix has a cat with special powers, including detection of vampires, and her sort of boyfriend is an incubus. The International Archaeology Association (IAA) is responsible for keeping all things supernatural under wraps but it appears as though it has become obsessed with its own importance and become a force for evil. The IAA is trying to force Alix to find the two creators of World Quest who have disappeared (although they are still contactable through the game), Alix is trying to find them to warn them about the IAA but the IAA is getting aggresive and trying to force Alix's hand. In addition, Alix's employer Mr Kurosawa has taken a contract from the Elves for Alix to find a mythical suit of armour which gives the wearer super powers. I enjoyed this book but I found it frustrating that the author felt no need to give some back story, other than an off-hand comment about stealing a magic book for an Elf previously or one of the vampires trying to kill her. I know this is the third book but I expect even readers who have read the previous two books might need some reminder of what happened previously and why Alix is so heartily disliked. The book ranges far and wide through history and across the world. One minute we are in the Japanese Circus Casino in Las Vegas, then Nepal then Shangri La. The pace is fast and engaging and I will definitely read the previous books to see whether that makes anything clearer. I've rated this three stars - maybe it would have been higher if I had known what was going on! Four stars: A smart, sophisticated, thrilling series with plenty of paranormal. There is never a dull moment for Owl, or Alix. She is busy trying to get her cat back from the clutches of the evil Naga. The IAA is after her, demanding that she find the two lost developers of World Quest, a role playing game that Alix loves. Then the stakes get higher when Alix is tasked to find an electric suit, that has dangerous and destructive powers. Supposedly if she finds this suit, it will prevent an all o Four stars: A smart, sophisticated, thrilling series with plenty of paranormal. There is never a dull moment for Owl, or Alix. She is busy trying to get her cat back from the clutches of the evil Naga. The IAA is after her, demanding that she find the two lost developers of World Quest, a role playing game that Alix loves. Then the stakes get higher when Alix is tasked to find an electric suit, that has dangerous and destructive powers. Supposedly if she finds this suit, it will prevent an all out civil war between two of the big supernatural forces. Unfortunately the people who sent her on the task, aren't being forthright. The more Alix learns, the more she realizes that the suit most not be found as it destroys the user, and who knows what else it is capable of razing. Can Alix once again elude those who are out to do her harm? *This third book is the best yet. I love the complexity and the sophistication of this series. If you want a book steeping with paranormal, unusual archaeological artifacts, plenty of action and danger, and some fascinating characters, this is a series to read. It keeps getting better and better. *As I mentioned, this series is complex. This book is no exception. There are many mingling story lines to keep track of before they merge into one. It was interesting seeing how everything came together, and I certainly wasn't prepared for some of the final developments. If you want a sophisticated and entertaining UF read, look no further. *I love the archaeological references in this one. The books definitely have an Indiana Jones vibe to them. This time around, Alix is hunting for an Electric War Suit as well as searching for the mythical city of Shangri La. So much fun! One complaint that I have had with the previous books, was the immaturity and rash behavior of Owl. *Thankfully, she has grown so much in this book. I liked that she was more thoughtful in her decisions. I didn't see the sophomoric behavior that I disliked in the other books. I am liking this new Owl. *The plot is complex, riveting and action packed. So many interesting twists and turns, all leading up to a stunning finale. I can't wait for more. *Ugh! The book ends with a big, fat, dramatic cliffhanger. The finale leaves the fate of a favorite character uncertain. I need the answers now. *I was bothered that a story line involving Alix's friend, Nayda, kept coming up, but then nothing came of it. What was the deal with that? *Even though I enjoyed the story, I found it dragging a bit. I think it got a little too long, and I grew tired of the constant chases. Still it was fun to read. Owl and the Electric Samurai is an outstanding addition to an excellent series. I love the sophistication and complexity of this series, plus there are terrific archaeology hunts as well as plenty of paranormal. If you are on the hunt for a fun and exciting Urban Fantasy series, this is one to try. It has become a favorite of mine. I received a copy of this book from the publisher in exchange for an honest review. All opinions are my own, and I was not compensated fro this review. These Owl books keep getting better and better with each installment! In this adventure Owl is subcontracted out by the Elves to obtain the Electric Samurai - a job Owl is non too pleased her Dragon employer has lent her out on. The more she researches this cursed object, the really less she wants this job. The Electric Samurai is Owl's nickname for a very old piece of armour that seems to be able to think for itself. It is somehow able to bind itself to the person wearing it, and influence th These Owl books keep getting better and better with each installment! The Electric Samurai is Owl's nickname for a very old piece of armour that seems to be able to think for itself. It is somehow able to bind itself to the person wearing it, and influence the person to heed to its every whim - mostly bloodshed and carnage. It quickly becomes apparent that the amour itself is calling to Owl and on top of that she soon discovers that there may be an ulterior motive as to why the Elves want this dangerous piece of history locked away. On top of all that, Owl is trying to find the two creators of the famous RPG game, World Quest, that has also been a great help to Owl when she needed inspiration on what tombs to raid for her next gig. And if that's not enough, somehow these two seemingly different goals seem to be connected in non-other than the famed lost city Shangri-La. I really hope Charish has something better planned for Carpe as well. I really like him, why does he have to do such stupid things all the time?! So frustrating! In this third book, Owl is still a disgruntled, dismayed, frequently clueless, misunderstood and disgraced anthropologist. 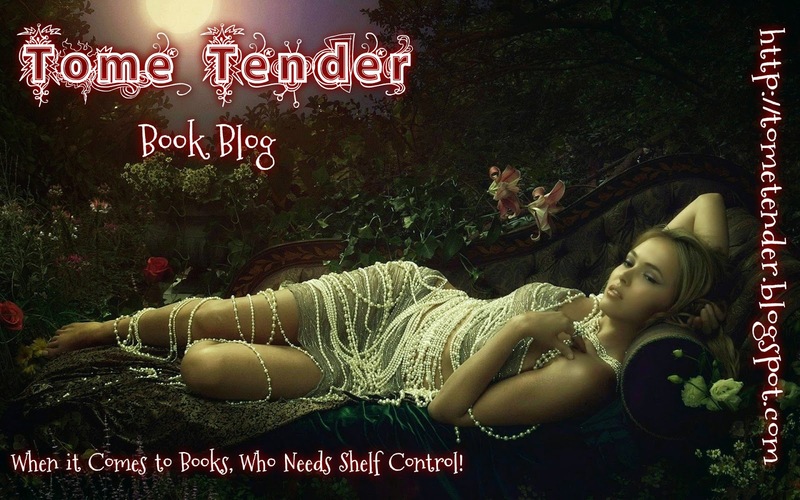 She is an antiquities thief who can’t seem to avoid tripping over dangerous supernaturals. Owl is still working for a dragon, Mr. Kurosawa and his aide Lady Siyu. Alix seems a little less clueless in this book but still ends up in serious trouble. The bulk of the plot is centered around dealing with the Electric Samurai. The author does a nice job setting the stage and introd In this third book, Owl is still a disgruntled, dismayed, frequently clueless, misunderstood and disgraced anthropologist. She is an antiquities thief who can’t seem to avoid tripping over dangerous supernaturals. Owl is still working for a dragon, Mr. Kurosawa and his aide Lady Siyu. Alix seems a little less clueless in this book but still ends up in serious trouble. The bulk of the plot is centered around dealing with the Electric Samurai. The author does a nice job setting the stage and introducing the protagonist as a bright, talented, strong and impulsive character. Luckily she has some level headed friends who bail her out of most of the jams she initiates. Rynn, incubus, is still on again and off again as Alix’s boyfriend. Captain, her Egyptian Mau cat proves that cats actually help with thievery. A hapless elf and the creators of a RPG also play a part in this story. Owl seems to gather enemies like a dog boarded in a kennel gathers fleas. They seem to reproduce geometrically. She and Rynn are battling mercenaries as well as IAA thugs. Tombs and traps play a part in this book as well. Reading Alix's third adventure reminded me of another Alex - Alex Verus. Both are mostly loners. Both can be assholes. Both are gray hats. Owl is a very light grey. She has no problems lifting antiquities, but objects to violence - even learning to use a gun in self defense. Alex is a much darker gray. He doesn't mind killing. He gets mad that he feels like he's forced to kill. I honestly prefer Alex in this case because it feels more emotionally honest. On the other hand, it feels like it's taki Reading Alix's third adventure reminded me of another Alex - Alex Verus. Both are mostly loners. Both can be assholes. Both are gray hats. I honestly prefer Alex in this case because it feels more emotionally honest. On the other hand, it feels like it's taking Owl a really long to get over the naivete that has always felt a little high for her character considering her line of work. That said, I definitely feel like she is growing and that growth is good to see. I still really liked the world and I love the connection of the growth of the world to World Quest and that you get to meet the creators. This is a world that keeps getting richer as the plot gets deeper. I'm definitely looking to more of Owl's adventures, I just hope that she is willing to get a little more comfortable with that darker underside of the world she lives in, or it may not be believable that she keeps getting to live in it. I like this series a lot, but this book ends on a cliffhanger, which I dislike. But everything leading up to the cliffhanger is interesting. This one is about Owl (an antiquities thief/archaeologist employed by a dragon) hunting for a magical suit of armor, while also hunting for the World Quest game designers, while also hunting for Shangri-La, while also dodging mercenaries that the IAA have sicced on her. This is another action-packed entry into the series, possibly a little too action packed. While the overall plot thread regarding the supernatural war is advanced nicely. This story is more toned down compared to the previous books! Good read! Interesting story of General Jebe! Action packed Urban fantasy as always through exotic locales and high amused yet delighted by one detour through Vancouver and UBC. Owl and the Electric Samurai is book three in The Adventures of Owl series. I've really enjoyed all the action and adventure we've seen in this series so far so I knew I had to grab this book. A little refresher for this series is that Alix aka Owl is an antiquities thief, and she works for a dragon. He sends her on missions and she generally gets into a ton of trouble along the way. We start off with Alix Hiboux on the hunt for an artifact. When she brings it back to Las Vegas and talks with her Owl and the Electric Samurai is book three in The Adventures of Owl series. I've really enjoyed all the action and adventure we've seen in this series so far so I knew I had to grab this book. A little refresher for this series is that Alix aka Owl is an antiquities thief, and she works for a dragon. He sends her on missions and she generally gets into a ton of trouble along the way. We start off with Alix Hiboux on the hunt for an artifact. When she brings it back to Las Vegas and talks with her boss she finds out the elves are seeking her services in finding a piece of armor that has a nasty streak. Her missions are getting more and more difficult due to The International Archaeology Association (IAA) wanting her to find the designers of the video game she adores. They're the ones in charge of not letting the supernatural artifacts getting leaked to the public. They've already screwed Alix over before, though and they're now sending mercenaries because she's not doing as they bid. All roads are seeming to lead to Shangri-La and with the mercenaries tailing them everywhere they go it's not going to be an easy mission. So far I’ve been loving this series, the mix of magic and history and archeology has made for a seriously enjoyable couple of books so far. They’ve been fun and frantic and I love Owl and her slightly skewed ethical view of the world. Which meant I was excited to read this, especially when the blurb had me anticipating action in Tokyo against an Electric Samurai(!). Except there is no action in Tokyo and the Electric Samurai is actually what Owl spends most of the book looking for. So a 3.5 stars. Except there is no action in Tokyo and the Electric Samurai is actually what Owl spends most of the book looking for. So adjust your expectations down from civil war chaos to an increasingly pressurised pursuit of objects and people while opponents gang up to collectively breathe down Owl’s neck as usual. 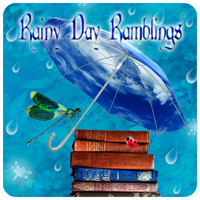 But it wasn’t just the blurb that was slightly off for me – Rynn didn’t feel quite right either. There’s clearly a lot going on with him, but even though Owl notices, she doesn’t seem to care. And that drove me nuts. There’s at least one conversation that Owl should have pushed for more details on, but she doesn’t. She shrugs, thinking he’ll talk to her when he feels like it. Which is not how either of these people work. It just made Owl seem massively self-centred. She only cares about what’s directly in front of her, ignoring the fact that Nadya (her one real friend) is clearly in trouble in Tokyo, danger isn’t just circling around her but Rynn as well, the elves are obviously up to something and everything keeps going wrong. Owl is always impulsive and prone to recklessness, but she’s never seemed so flat and careless before. I didn’t feel any emotional connection between her and Rynn in this book. For the most part they don’t even seem to like each other and Rynn was only following her around because it’s become a habit. Thank goodness for Captain. I love his mercilessly destructive little soul. At least Owl still cares about him. I also enjoyed her regular sparring sessions against Lady Siyu. Those are always entertaining and Captain vs Lady Siyu is even better. The action is as interesting as ever, balancing moments of danger and peril against mystery and fact-finding missions. The search for Shangri-La and the battle against the IAA continues against the backdrop of elvish interference and a search for a magical suit of armour. However, unlike the previous books which were somewhat self-contained, this book is clearly laying the foundations for further trouble to come. It’s also lacking in the fun and humour I’ve come to love in this series. It’s still readable, but the tone is somewhat darker, posing more moral and ethical questions, and threatening the fate of the whole world. So it wasn’t what I was expecting. I still liked it enough to want to continue with the series, but the change in tone meant that the ending didn’t have quite the emotional impact on me it should have. Even so, I’ll be keeping an eye out for the next book, especially after that epilogue. This is the third book in the Adventures of Owl - and I would have to say that it is the best so far. What attracted me to this series was that it took urban fantasy and the supernatural and took it to a place that is rarely visited. Instead of vampires and werewolves, we get magical antiquities and supernatural politics. A great combination. What needs to be said is that this book isn't as fun and frivolous as the previous two books. Sure, Owl is still sassy and witty, but there is a real serious tone to this novel, digging right into the "meat" of the series and setting. Still lots of action and snappy dialogue as well, but I do appreciate this book taking a step back a little and really growing the characters and building the world a little more. The one quibble I have is that it seems to have gotten away a little from being "urban" fantasy. I would love to see more of the "real world" included next time around. Would definitely recommend this book - but only after you have read the first 2 books. To be perfectly honest whole series never was a must read for me, which is kind of surprising since it's basically a combination between Indiana Jones and fantasy, both of which I enjoyed immensely. This is probably that I find every single character in this book more likeable than its main character. The fact that she been screwed over by a government agency should make the reader root for her. But her lack of self-control, her antagonistic ways and the fact that she is a tomb raider that dest To be perfectly honest whole series never was a must read for me, which is kind of surprising since it's basically a combination between Indiana Jones and fantasy, both of which I enjoyed immensely. This is probably that I find every single character in this book more likeable than its main character. The fact that she been screwed over by a government agency should make the reader root for her. But her lack of self-control, her antagonistic ways and the fact that she is a tomb raider that destroys everything she comes across does not help her case. Her every conversation either starts with curses or the overused bridge saying (3 times in this book alone). And with the exception of Rynn and Nadia she has no friends. This is even worse in this book, because everyone she meets distrusts her and impugnes her character, even when her motivations are on the good side. Also, she and Rynn are especially short-tempered in this book and let their pensions frequently get the better of them. Very annoying. What I liked about the series are the Indiana Jones parts. Meaning adventure and looking for old historical artefacts. Even though I'm not so crazy about the fact that she gets a lot of her research done by playing a computer game. Though this book finally answers the question, how this is possible. Unfortunately more than half the book see very little exploration, with only one trip to a cavern in Tibet, one visit to a loading dock from a university with frequent stops at the Japanese circus. The only interesting parts here are the Mongolian history bits. In the last third comes the discovery of Guge and subsequently Shangri-La. Owl and the Electric Samurai is a refreshing departure from the standard urban fantasy fare. Owl isn't a dime a dozen Mary Jane who suddenly has immense powers and a horde of hot paranormals chasing after her. Well she does have paranormals chasing after her mainly because they either want to kill her or want her to find/steal something for them. Owl is a modern day Indiana Jane, an archaeologist turned thief who is employed to find supernatural artefacts. The IAA (the international archaeology association) wants Owl to find the creators of World Quest, a popular online RPG that just happens to have shown the locations of various real life treasures. Since screwing the IAA appeals to Owl for a multitude of good reason, so Owl plans to find the two developers before the IAA mercenaries do. Clues point to them being in Shangri-La but exactly where is Shangri-La. Meanwhile her boss’s lieutenant still has her cat - an intolerable situation, and wants her to find a suit of armor that changes appearance based on the wearer. Between avoiding mercenaries and navigating the world of supernatural politics, the likelihood of Owl dying is pretty high. At least she gets her cat back. I’m impressed. Like Indiana Jones, Owl is quite adept at narrow escapes in dangerous situations. This novel has a large number of great action sequences, but that doesn't mean it is lacking plot. I also liked its unique approach to the supernatural. And of course Captain - how cool is it to have a cat that not only senses vampires but also intimidates them. My only quibble is the title. I kept wondering when the Electric Samurai would show up. (The Electric Samurai doesn't come into play until the end. It’s what Owl terms the magic armor.) I look forward to seeing what comes next. I received a copy of Owl and the Electric Samurai from the publisher and Netgalley.com in exchange for an honest review. I received this book in exchange for an honest review, which has not altered or influenced my opinion. I’ve been following this seres and am really enjoying it, which surprises me to a point because there is quite a bit of politics in it. Although, my enjoying it might be because our sharp main character is quite against being involved in said supernatural politics. This series keeps on getting more and more in-depth and Owl finds herself drawn deeper and deeper into trouble the more she attempts I received this book in exchange for an honest review, which has not altered or influenced my opinion. I’ve been following this seres and am really enjoying it, which surprises me to a point because there is quite a bit of politics in it. Although, my enjoying it might be because our sharp main character is quite against being involved in said supernatural politics. This series keeps on getting more and more in-depth and Owl finds herself drawn deeper and deeper into trouble the more she attempts to avoid it. It’s so much fun I can’t help but become addicted to the writing style, which is a bit sarcastic as well as detailed and surprising. I have to compare this novel to the action-adventure sci-fi of Timothy Zahn or Jack McDevitt. This story is all about travel, fight scenes and betrayals, with an underlying story of archaeology. Unfortunately everything seems light to me. Action sequences are hard to write. The extended negotiations during these scenes drag the action down. The travel drives the plot, but we learn very little about India, Chine, or wherever the heck this is set. There's a whole Tibetan sub-plot involving Shangra I have to compare this novel to the action-adventure sci-fi of Timothy Zahn or Jack McDevitt. This story is all about travel, fight scenes and betrayals, with an underlying story of archaeology. Unfortunately everything seems light to me. Action sequences are hard to write. The extended negotiations during these scenes drag the action down. The travel drives the plot, but we learn very little about India, Chine, or wherever the heck this is set. There's a whole Tibetan sub-plot involving Shangra-La, but we don't learn anything about the real mythology. An author like Ramez Naan paints the monastery for us, but Charish shocks us with "violent" buddhist cultists. It's not clear what would motivate these violent buddhists, but we won't learn much about their philosophy. They join a huge cast of thinly-defined villains, waiting in the wings to strike. She writes what she loves; adventure Kristi is the author of OWL AND THE JAPANESE CIRCUS (Simon and Schuster Canada/Pocket Books), an urban fantasy about a modern-day “Indiana Jane” who reluctantly navigates the hidden supernatural world, and THE VOODOO KILLINGS (Random House Canada), an urban fantasy/mystery about a voodoo practitioner living in Seattle with the ghost of a deceased grunge rocker.